My name is Bob and I'm obviously new to the forum, been wheelin for a lot of years. I own a 2006 LJ Rubicon, sits on 35's its white has 6 1/2" of lift and is a 6 Sp. has been rhino lined inside, has some Tuffy security goodies in it. Best top Trek top, banks ram air, metal cloak highline fenders, poison spyder front bumper and steering skid and hood louver. 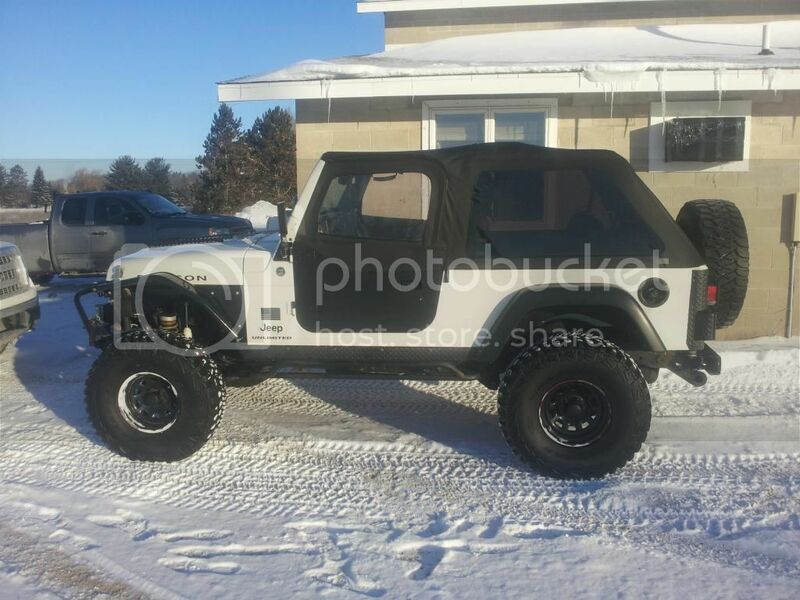 its a nice jeep, has locker bypass so I can lock whenever I want, its pretty nice, and goes everywhere. Cool, welcome. Come to the invasion. Last edited by EZRUBI; 02-06-2015 at 11:07 PM.